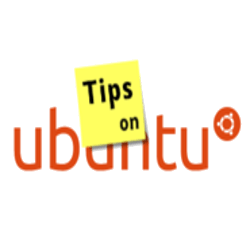 This is quick tutorial that shows you how to install and setup a Telnet server in Ubuntu 14.04 LTS. TELNET (TELetype NETwork) is a network protocol used on the Internet or local area network LAN connections. It allows one computer to access a command-line interface on a remote host. Telnet is insecure because the communication is not encrypted, your password and all other data will be transmitted as clear text. If possible avoid Telnet, and use Secure Shell (SSH) instead. The Telnet service is started automatically once the installation is done. And you can either run telnet serverip or use a Telnet client (PuTTy, SecureCRT, etc.) to access this server. More configurations, see this document. Many Thanks, this one worked for Ubuntu 14.04 server (LAMP). Do you have any suggestions for jailing the Telnet command? I would like to use my server to have people telnet into my server and then telnet to other sites as well. Similar to BBS’s of the 90’s. But as insecure as it is I want to implement this in a chroot environment if possible.